Help us celebrate the opening of LIAF 2014 with a cracking selection of highlights from right across the festival programme. We’ll take some of the hottest films from competition, mix them with some gems from the specially curated programmes and give you a chance to meet some festival guests. This is the essential LIAF show bag to whet your appetite for the days ahead. The Gala Screening has become a festival fave – numbers are strictly limited. Book early to avoid heartbreak! Plus – come celebrate with us the centenary of Norman McLaren with a special programme entitled McLarens Influences – to be introduced by special festival guest Steven Woloshen (Canada). 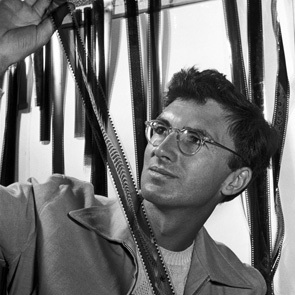 Norman McLaren has literally done more than any other person to shape, define and extend the boundaries of creative animation. Born in Scotland, McLaren was the multi-discipline genius who established the animation department at the National Film Board of Canada, arguably the single most important institution of its kind in the world. The NFB has attracted and empowered multiple generations of outstanding animators and producers, many of whom have won Academy Awards over the years. Quiet, focused and inexhaustible, McLaren’s unquenchable thirst for developing new techniques and pushing established techniques far beyond what anyone believed was possible, saw him create an incredibly important body of personal work. This programme brings together a collection of films spanning more than 50 years, showing the breadth of influence Norman McLaren has had on animators working in every corner of the world. Thanks to the Quebec Government Office and the Canada Council for making possible the visit of Steven Woloshen. An outstanding example of McLaren’s cameraless animation style with one of the best sound tracks ever put to an animated film. A true classic. A not so subtle exploration of human territorial tendencies and the film that set the benchmark for pixilation animation. One of the most important animated films ever created. A true masterpiece that drives home McLaren’s natural genius and his ability to harness technology in his creative quests. An absolutely stunning example of cameraless animation, including a fully ‘scratched’ sound track. Made entirely in the front seat of a car with simple art tools direct to film, this hand-made short celebrates the joy of road maps, travel and jazz music. The film that defined McLaren’s prowess with abstract animation and stands to this day as a masterclass of the form. A variety of techniques, including scratch, bleaching and optical printing, are employed to best empathetic effect to depict a life being remembered. In a world controlled and timed by light, an ordinary man has a plan that could change the natural order of things. One of the most successful pixilation films of recent years. Collectively known as The Lightstone Seekers, this duo tour the world animating their impressions of each city they encounter. The perfect way to wrap up the programme, a fascinating animated documentary delving into some of McLaren’s own views of filmmaking. This entry was written by admin, posted on September 10, 2014 at 9:49 pm, filed under Schedule.